This is a funky down home double LP set with fat grooves and moog lines. 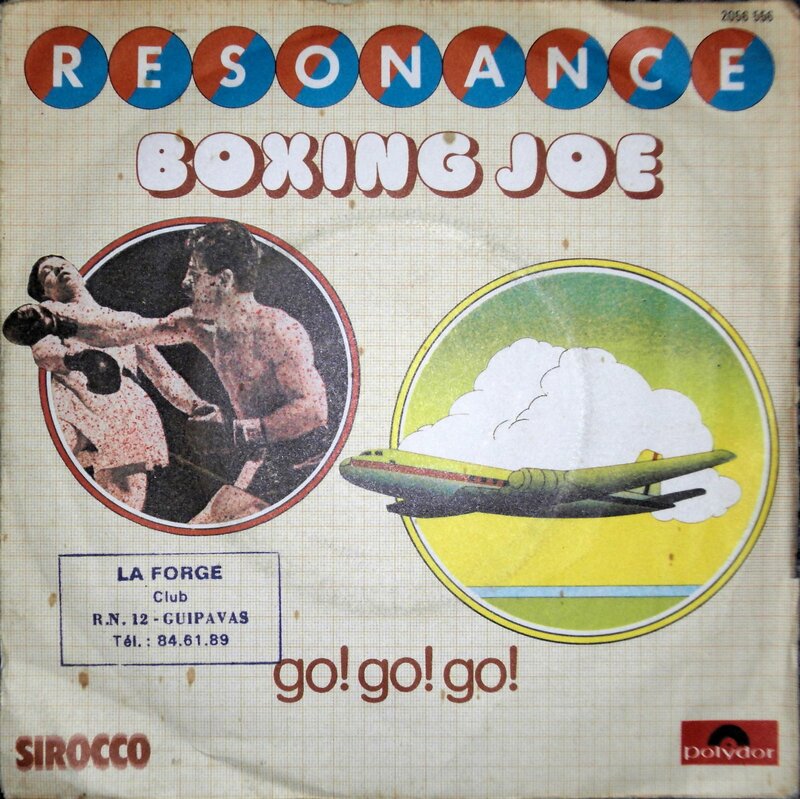 This was originally shared by Sounds of Champaigne but the link has gone to the great electronic home in the sky. I've re-upped it for a request and I thought I'd post it here for anyone who wants it. Some surface noise but it all adds to the gritty down home style of the music. 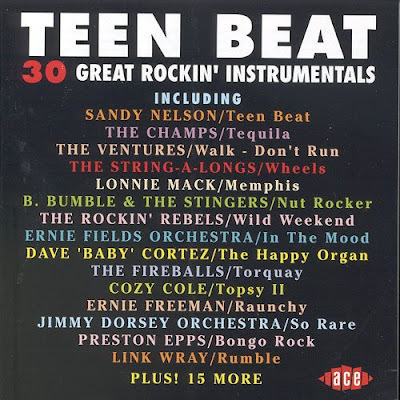 There is a request for Sandy Nelson's Teen Beat. Not sure if it was the track or album but I don't have the album so here is the track along with 29 other must have instrumentals. Its by Ace Records so you know its good. Here's the best compilation of Sandy's stuff I could find in fact the only one. His stuff isn't easy to come by as I found when I looked for some more recent compilations. This is superbly recorded and mastered by Ace Records albeit at only 128k but it still sounds pretty impressive. 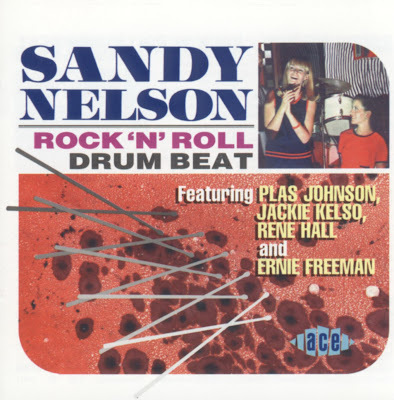 I can hear echos of big band drumming in Sandy's work and he's ably assisted by such studio luminaries as Richie Podolar and Plas Johnson amongst others. 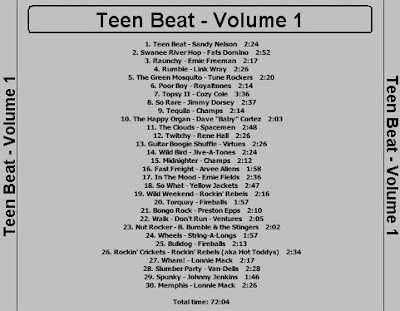 No hits like Teen Beat on this but everyone's got those anyway, just more interesting and obscure stuff you caint find anywhere else folks. You could get Jack's 5 CD Bear Family box set but that has lots of ballads and Gospel songs. 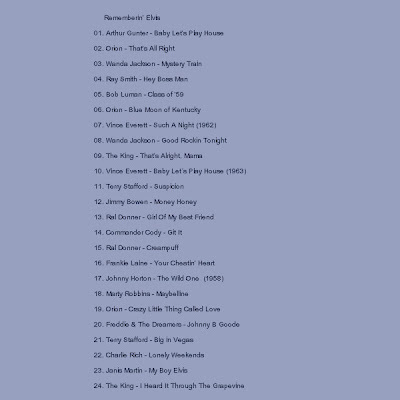 I've trawled through the set and extracted the cream of his rockin' sides 40 tracks of pure gold. The canuck rocker is renowned as a rock-a-billy star but to my ears he's more a country balladeer and if I may say so a slightly off key one. His rock sides are way better not really rock-a-billy more country rock but the more up tempo the better he sounds. His later tracks for mine are his better work and he got more rockin the more into the sixties he got. 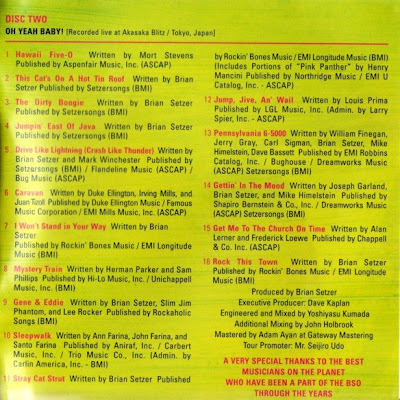 My favourite track is no 27 where he takes Dylan's Rainy Day Women and turns it into a fine country rocker. I seem to be listening to a lot of early rock these days including some really good Elvis imitators. Of course Elvis is the king of the early days and I've collected the complete 50s, 60s and 70s masters. 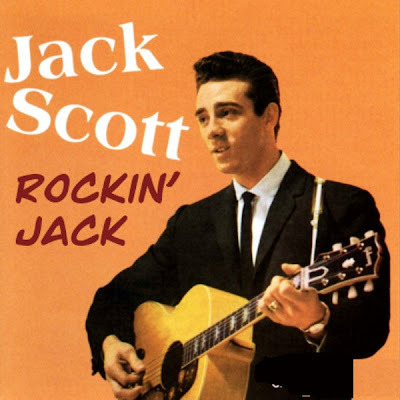 Funnily enough I think he hit his peak, certainly from a rock point of view, in the early to mid sixties with tracks like Little Egypt, His Latest Flame and Viva Las Vegas etc. The 50s of course were the classic years for his rockin' songs although the religious songs and sappy ballads don't do it for me. The 70s were, well the era of fat Elvis and warbly over done ballads and lugubrious rock songs although there were some gems amongst the dross. Anyway another Elvis comp is not much fun so here's some obscure Elvis imitators, artists from the same era who did the same songs as Elvis and even some more modern attempts at the Presley ouvre. My choice for best Elvis imitator is Vince Everitt. 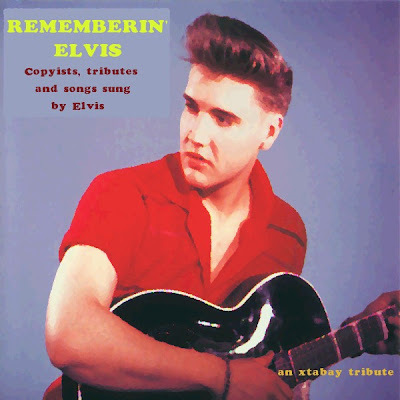 there's only one album of 15 songs available but its smashingly good, its the great Elvis album he didn't do. Ral Donner is pretty good also although he didn't do many Elvis songs so his albums are like new Elvis albums. He enjoyed some success in the early 60s but not a good career choice for longivity. 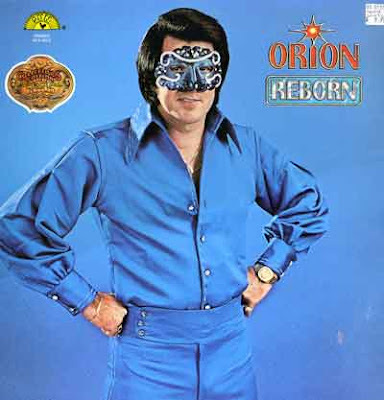 The best 70s fat Elvis imitator is masked singer Orion, he of the favourite strange record cover for Orion Reborn where he actually looks more like Roy Orbison in disguise than Elvis. He did some records for Sun Records in the late 70s and they are pretty good if some songs are marred by cheesy synth effects. His manager also produced some records with Orion doing duets with the likes of Jerry Lee Lewis by overdubbing their old records. It does sound remarkably like Elvis and I think his name was left off the record labels to create the impression that it was really Elvis. Worth seeking the masked one out as his records are worth a listen and his bizarre life ended when he was shot by a robber in his pawn shop in the late 90s. Best Elvis song not done by Elvis is Terry Stafford's Suspicion which at one stage in the early 60s was the only record in the top 5 not done by the Beatles. He also did not have a long career and ended up dying early. Best more recent Elvis imitator is a Belfast postal worker called "The King" and he's surprisingly good performing more recent songs which may be how they would have sounded if Elvis had survived and sung them. Oh and not to forget the ladies, best rock n roll female artist Wanda Jackson, who else? Anyhow here it is and well worth a listen, would I steer you wrong? 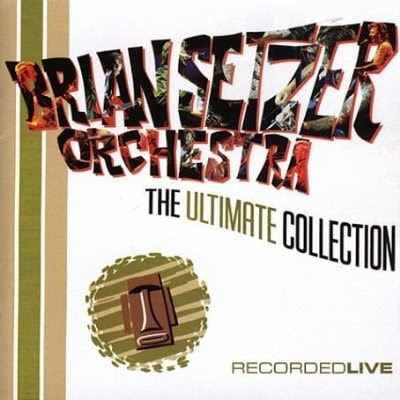 A wonderfully recorded live album by Brian Setzer and his Orchestra of two concerts. Lots of lounge, surf and straight out rock here. Who knew Brian was such a great arranger for his not tiny orchestra. Say what you want about Brian Setzer and his cool retro-swing, but the man can not only play the hell out of a guitar, he can lead a big band like a pro, singing and playing sure, but he can write charts too. This set is rather ingenious. 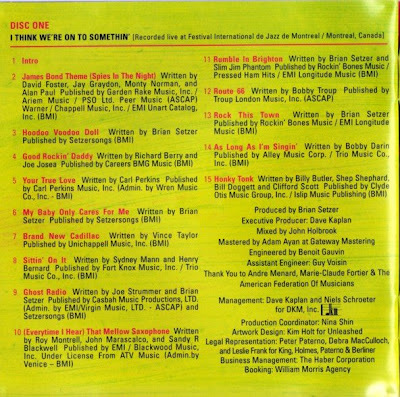 It contains two discs chock-full of the tunes that the Brian Setzer Orchestra has become (in)famous for. 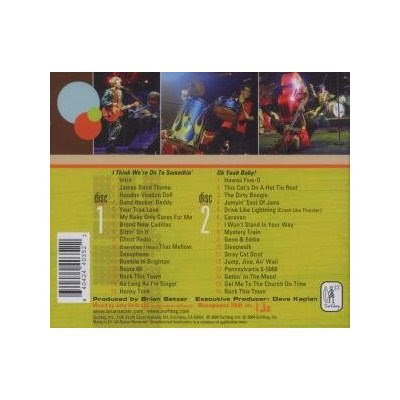 Disc one is a show from the band's first tour, and disc two is live in Japan after all the hoopla and success in 2003. 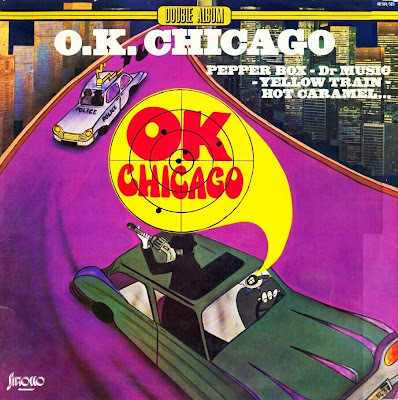 There are no overdubs or edits of any kind on either set. One gets both the raw and refined here, popping through the years. 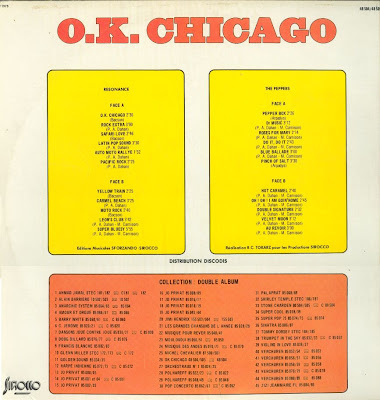 The first disc includes 15 goners, including "James Bond Theme," "Brand New Cadillac," "Good Rockin' Daddy," "That Mellow Saxophone," "Ghost Radio," "Route 66," "Rumble in Brighton," and "Rock This Town." The way Setzer's guitar screams here is the sound fans were dying to hear on the studio records. Disc two has swaggering background vocalists and slicker arrangements, but there's no dearth of pure finger-poppin' rock here either. There's "Mystery Rain," "Hawaii Five-O," "Jump, Jive an' Wail," "Stray Cat Strut," "Caravan," "Gene & Eddie," "Sleepwalk," and a slew more. In all, this is a deeply satisfying collection capable of covering the "best-of" needs and giving punters who haven't experienced Setzer an opportunity to hear the excitement jumping out of the grooves his band cuts. To the best of our knowledge, the recordings on this site have been long out of print and are no longer commercially available. If you are a copyright holder of one or more of these recordings, you may leave a comment on the article involved, and we will be happy to remove any download link upon verification of your credentials.